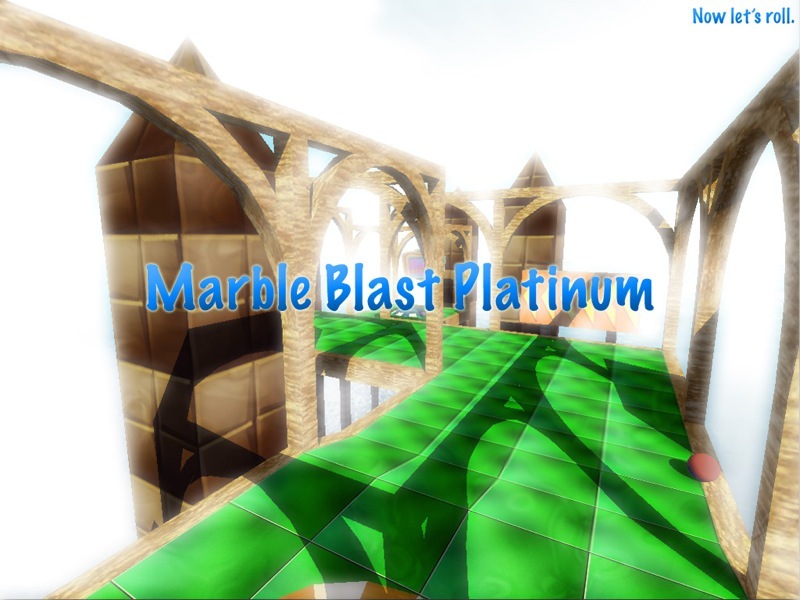 Please note: PlatinumQuest takes over Marble Blast Platinum in both name and title as the new official mod of MarbleBlast.com. Through almost 8 years of development, PlatinumQuest has seen two separate development teams as it slowly came to fruition. This highly anticipated update contains more than 130 new and exciting levels, as well as dozens of new features. PlatinumQuest requires players to beat levels and special challenges in order to progress further through the game, as well as unlock unique Bonus levels. While PlatinumQuest aims to be easier than its predecessor, there are still mind-boggling challenges that will stump even the experts! Included are massive upgrades to the base engine of the game, allowing players to select graphical enhancements including marble reflection, texture quality, animated backgrounds and more! Additionally, we've added improved joystick support for Xbox controllers which even work for several of the game menus. Users who enjoy making levels will find several major enhancements to the Level Editor, as well as several cosmetic changes. All levels also have a neat camera preview system, allowing you to showcase the level itself. The level select screen has been greatly modified and now shows many levels at once, giving you an easy way to find and select the level you want to play. PlatinumQuest adds several major gameplay features, including new Powerups, a Hint system (available to Custom levels as well), general tips and trivia, as well as a new level progression system. This system requires players to beat previous levels (for the main game levels) as well as more specific challenges that unlock Bonus levels. There is much, much more in PlatinumQuest than can be covered here, so be sure to play and explore it thoroughly! Note that you may have to run on lower graphical settings depending on your hardware. Marble Blast Platinum was first released in Christmas 2007. Made by a number of leading community members, it became an instant success. It takes community-created skills and gameplay and utilises them in levels which are much more difficult than Marble Blast Gold. Additionally, players can aim to beat Platinum and Ultimate Times, which provide for an even greater challenge to those who are skilled enough. Further patches to the game added online capabilities, including leaderboards and multiplayer. Many features, bugfixes and new sounds and music were added. Hundreds of custom levels were since released, utilizing many of the games' features. This mod has also sparked a great interest in modding Marble Blast Gold and is the most well known mod for Marble Blast.